Designed specifically for 5" charms. 60 sheets with 9 per sheet. 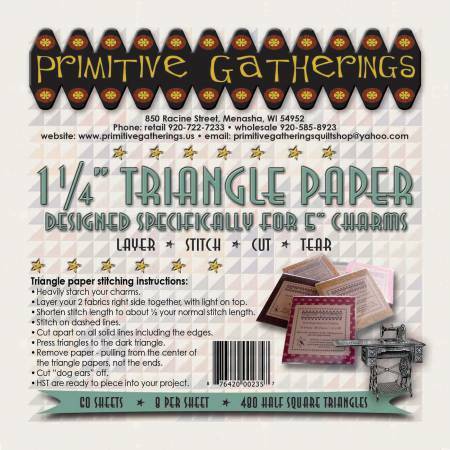 400 half square triangles.